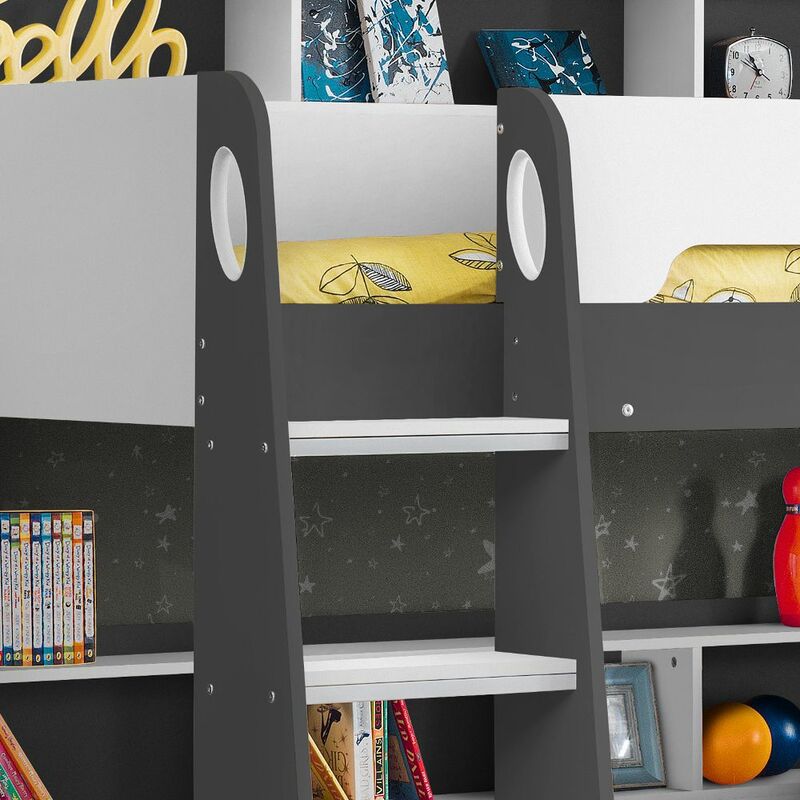 Superb in both style and substance, the Orion Bunk Bed Grey provides a kid’s room with two separate sleeping areas and a host of different storage solutions. 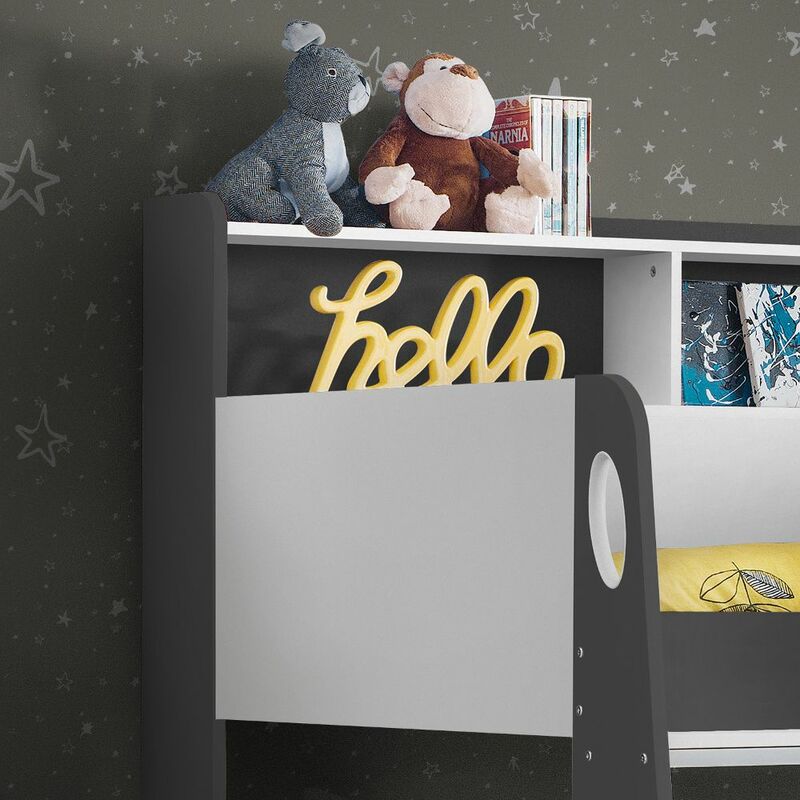 Fun for kids and fantastic for parents, the Orion Bunk Bed Grey offers everything a kid’s room needs for their younger years. 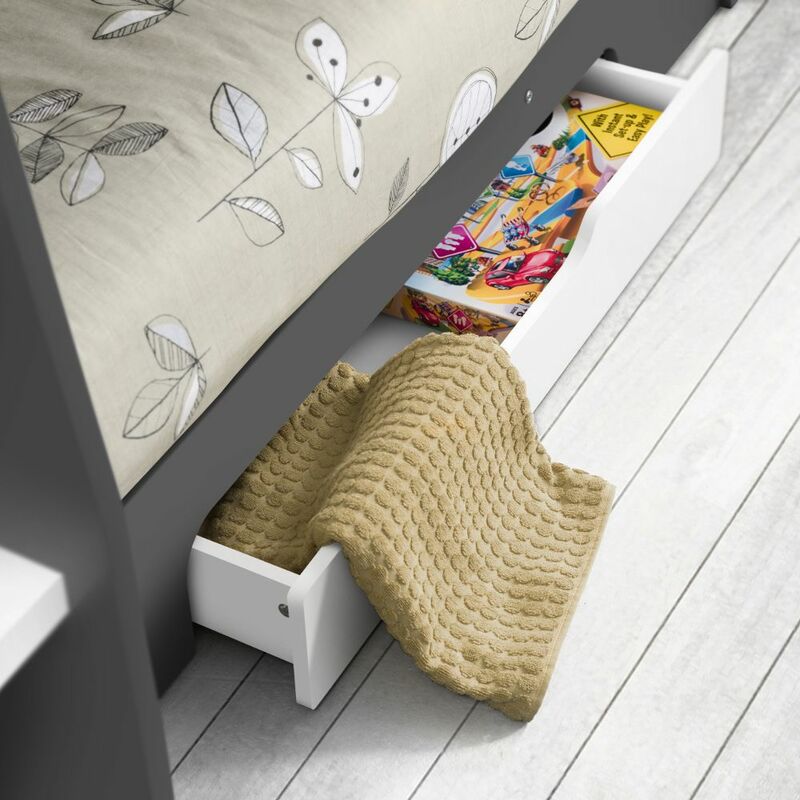 Both the top and the bottom bunk features ample shelf spaces, the likes of which are perfect for displaying and storing books, stuffed toys and ornaments, though the bottom bunk also features a discrete draw that can comfortably host anything from spare sheets to items of clothing. As impressive as this combination of storage solutions is, the Orion Bunk Bed Grey still features plenty of bed space. Sporting a design that maximises safety, the Orion Bunk Bed Grey features barriers and a lip for the top bunk, solid slatted bases for both bunks and a sturdy ladder that allows easy access from the bottom to the top of the bed. This ladder doesn’t just serve as a means of climbing though, as embedded within the rungs are glow-in-the-dark markers, making ascending and descending it possible for kids in the dark. Thanks in no small part to its soothing stone grey finish, the Orion Bunk Bed Grey blends in well to contemporary homes. Enriched all the more by the overall sleek yet approachable design, the Orion Bunk Bed Grey is accessible for children of all ages. Crafted from a combination of solid particleboard, the Orion Bunk Bed Grey is built to be durable and strong for as many years as your child may need it. It’s also incredibly easy to construct from its flat pack format too, thanks to the comprehensive instructions that come partnered with it.